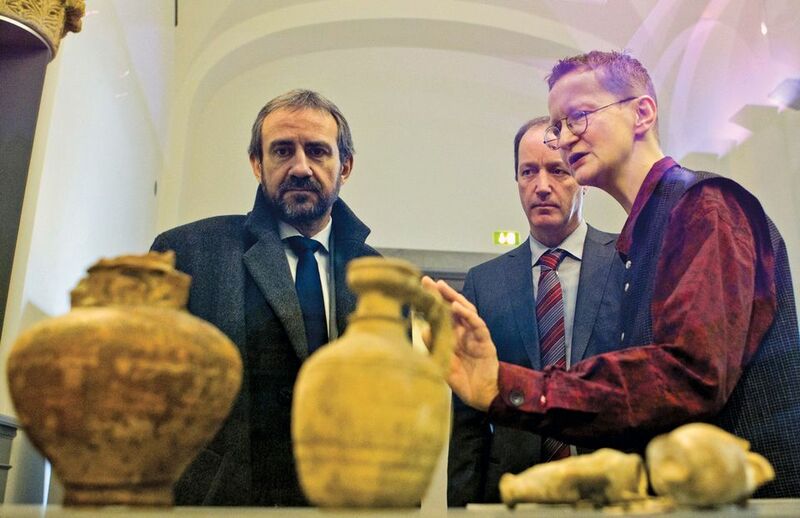 Hermann Parzinger, the president of the Prussian Cultural Heritage Foundation (SPK), has called for international guidelines akin to the Washington Principles on Nazi-confiscated art to help museums handle provenance research and repatriation of illegally acquired colonial heritage in public collections. An international organisation such as Unesco or the International Council of Museums (Icom) should take the lead in organising conferences to devise the guidelines, Parzinger says, adding that both organisations have written to him welcoming his proposal. The question of colonial art in European collections rose to the fore in France and Germany last year. In France, President Emmanuel Macron pledged “a temporary or definitive restitution of African heritage to Africa” over the next five years. He said: “I cannot accept that a large part of the heritage of certain African countries is in France,” adding, “there is no justification that is valid, sustainable and unconditional”. In Berlin, the construction of the new Humboldt Forum, due to open in 2019, has triggered a heated debate about the provenance of non-European artefacts from former colonies. The building will provide a new home for the SPK’s ethnographic and Asian art collections. Bénédicte Savoy, an art historian and member of the advisory committee of the Humboldt Forum, abruptly resigned from the board last July complaining about a lack of attention to provenance research. The German culture minister Monika Grütters agreed, saying that “we have for a long time paid too little attention to the subject of colonialism” and that the debate over provenance research “was absolutely necessary”. She pledged government funding for such research. German Chancellor Angela Merkel’s Christian Democratic Union and its potential coalition partner, the Social Democratic Party, have agreed that investigating and coming to terms with the country’s colonial past is a priority for the new government. Parzinger, a founding director of the Humboldt Forum, says the new museum will seek to provide full information on the provenance of its exhibits for visitors who are interested. The SPK received funding last year for a project to transcribe and digitise all its acquisition documents for the Ethnological Museum from 1830 until after the Second World War. The foundation is also working with curators and scholars from Tanzania on an exhibition of objects that were removed from the country at the time of the Maji Maji War, an 1905-07 rebellionof against German colonial rule in German East Africa. “If you are conducting provenance research, then you also have to expect that you will come across objects that came into the collection illegally, and you have to be willing to hand them back,” Parzinger says.